Gall and Zick metal funky owl. Owl measures approximately 16.6"H x 8.5W. 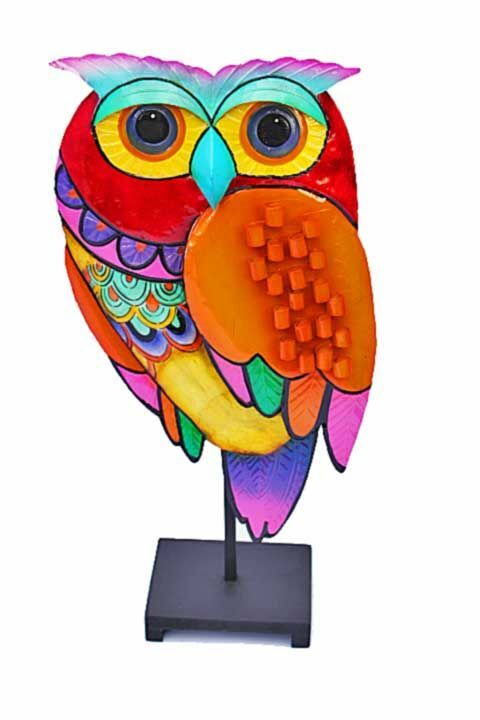 Perfect for adding a fresh feel to your garden or your kitchen, this cute funky owl is sure to make guests feel welcome.